I love all things Christmas and have been fortunate to teach in schools where including Christmas in the classroom activities is permitted. We are always aware of different celebrations and incorporate other culture’s traditions a lot, especially since I teach majority Hispanic students. They love sharing about their holiday traditions. In addition to learning about other country’s traditions, we also love Christmas themed activities. 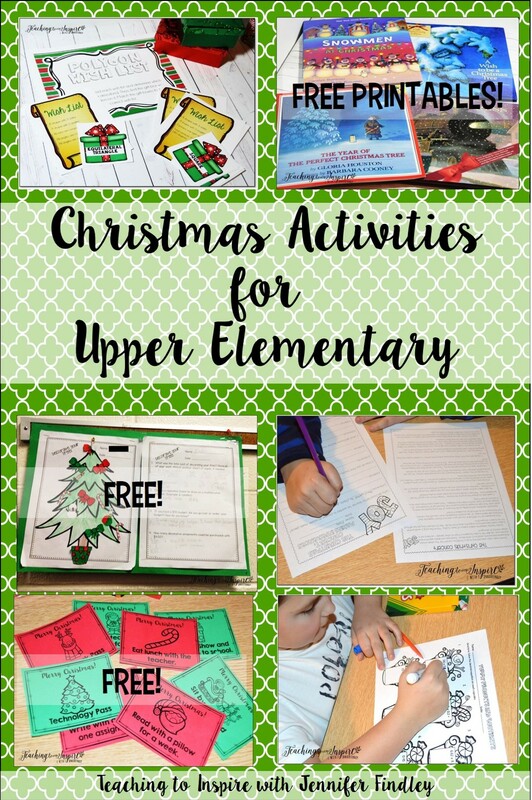 I have compiled a few of my favorite go-to Christmas activities for upper elementary in this post. I have also included some student gift ideas and a few freebies. My students and I always love math centers. We really love seasonal themed centers as a nice break from our typical math centers. 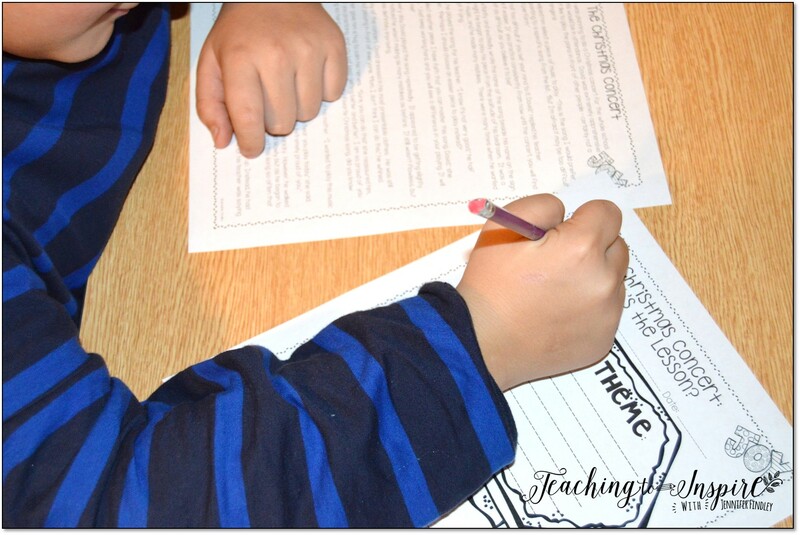 You can read more about our typical math centers here. Here are some of the math centers in my Christmas Math Centers for grades 4-5. There are a total of 12 centers/printables but these are my favorite ones. This center is a favorite of mine and the students. 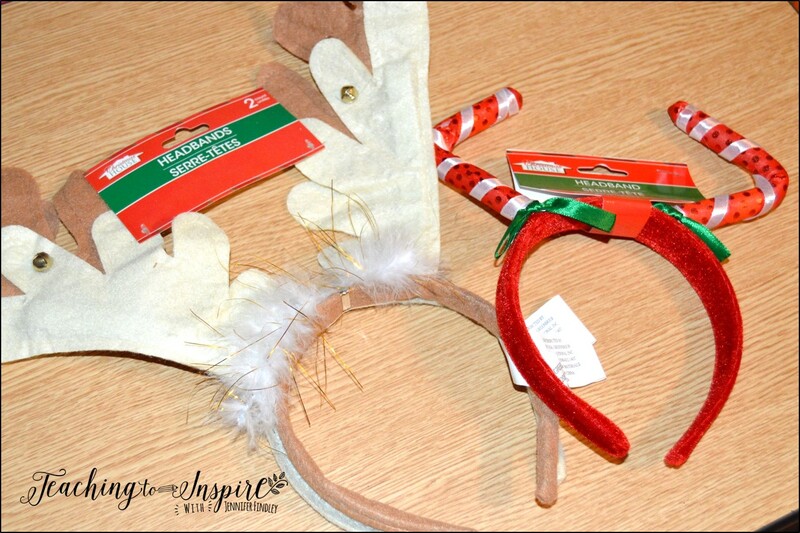 It is a shopping with Santa activity where the students use a toy list to help fulfill Santa’s orders. This next skill is not directly in fifth grade common core, but my students can always use the review. 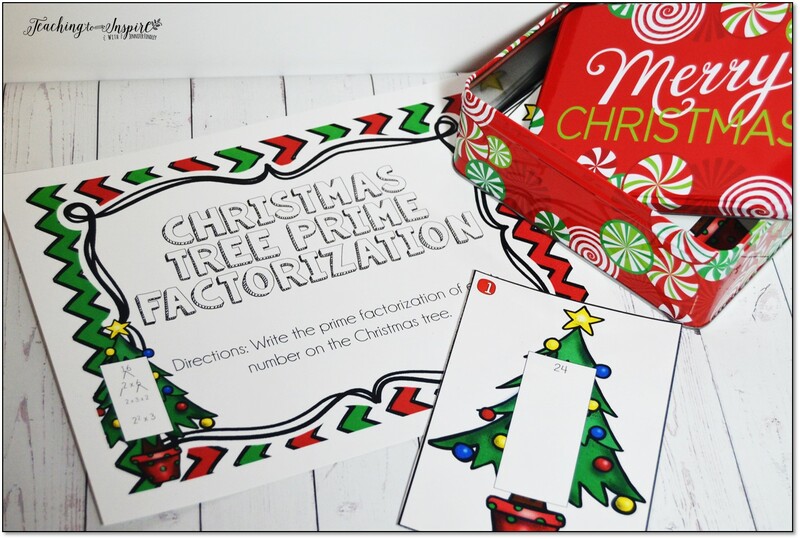 And for some reason, they just love prime factorization with Christmas trees. They could use this review before moving into simplifying fractions. This math center is one of my favorite centers. The student review different polygons by reading a wish list of attributes. They determine the shape the list is referring to and match the gift accordingly. I just love this Santa’s list clip art so I had to use it twice. 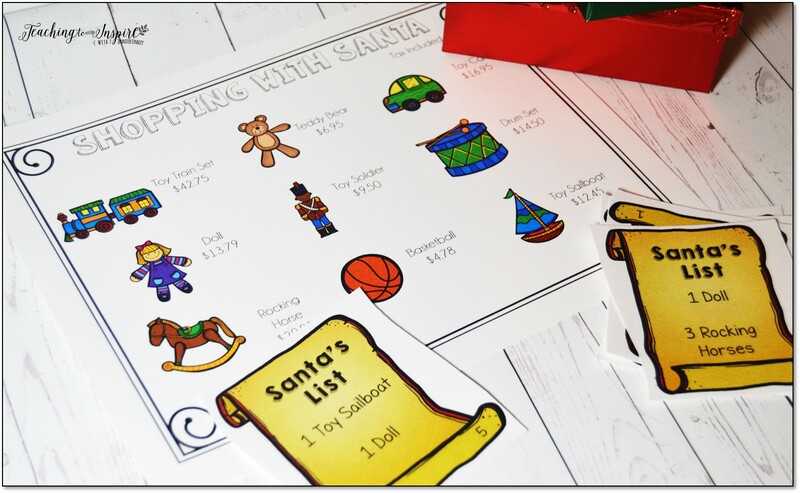 Speaking of using printable activities for bulletin board displays, this is a super engaging Christmas themed activity involving decimal operations. The students choose from several options to decorate their Christmas trees. There is a math printable included for the students to complete. 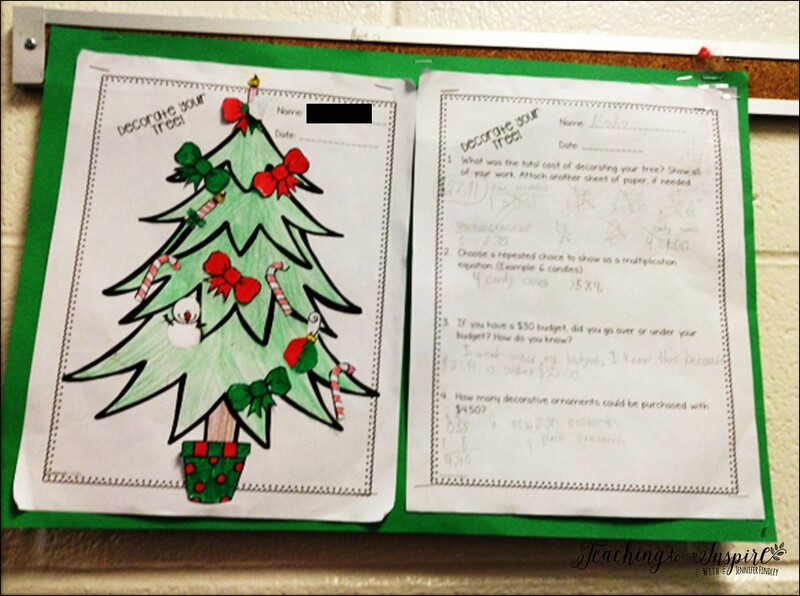 This makes a great holiday display and the students love decorating their trees. If you are going to be absent one day in December, this would be a perfect substitute activity. Click here to download the activity for free. 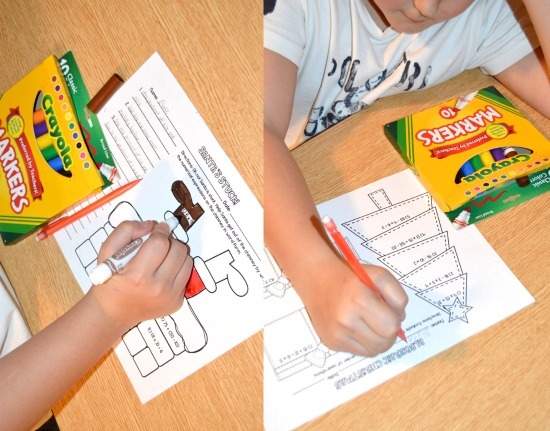 In addition to the Christmas math centers, I always love using themed math worksheets. I don’t use a ton of worksheets as part of my math instruction, but these are so fun for the students and they provide extra skill review. The graphics are appealing to even my fifth grade boys and most of the students love taking these printables home to color. Sometimes we even color them at school for a cute holiday display. I currently have a 4th grade set and a 5th grade set in my store. Here are some of the printables in the fifth grade set. 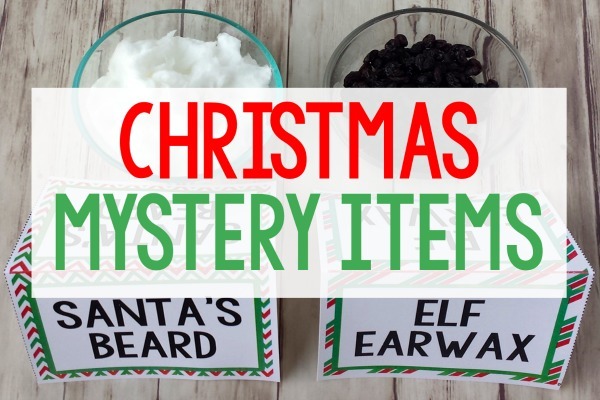 Earlier this week, I blogged about my favorite Christmas themed read alouds for upper elementary students. Make sure you check out that post to read about the books and grab some free printables for each book. Click here to read the post. We love reading about Christmas traditions and celebrations. 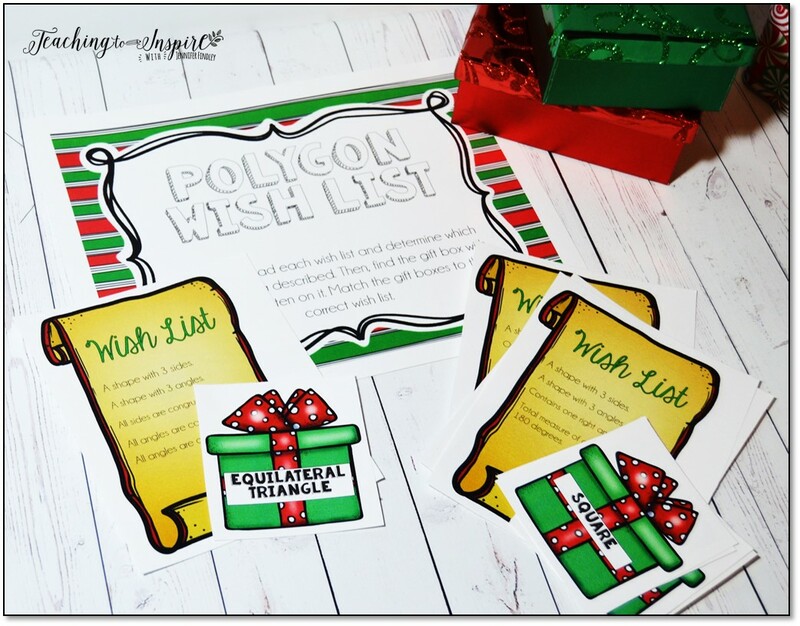 In addition to our read alouds, we read several passages from my Christmas Just Print Reading Pack and my Christmas and Winter Paired Passage Set. The passages in the set include a nice mixture of fiction and nonfiction to review several skills. 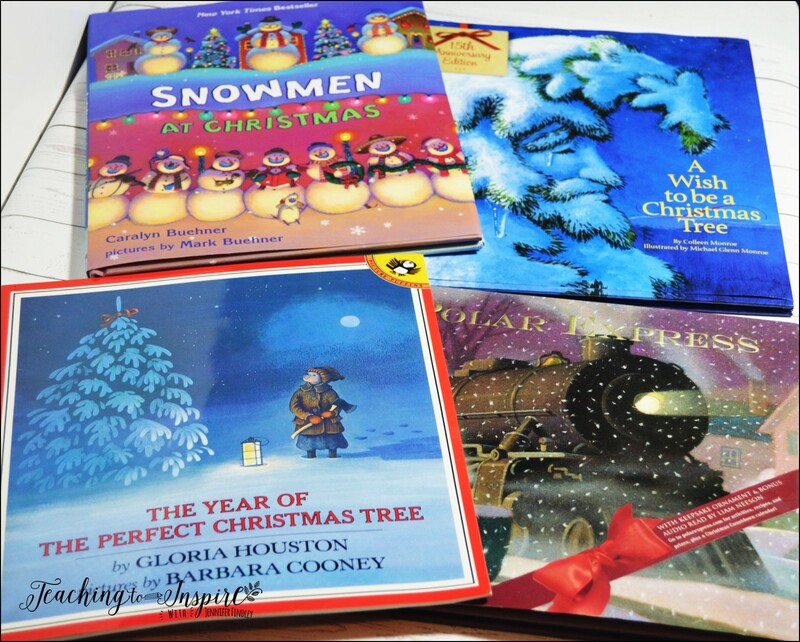 You can see all my Christmas Literacy resources here. 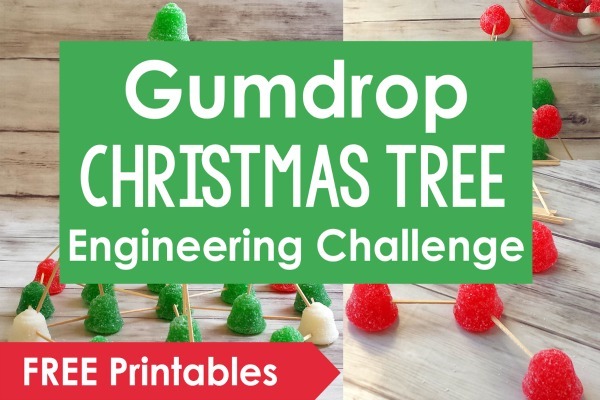 Using gumdrops to create Christmas Trees is a great STEM/Engineering activity that the students will love! 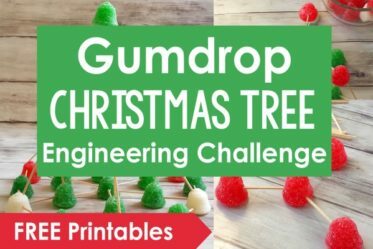 Read more about this engaging Christmas activity and grab free direction and printables by clicking here. My go-to student gift for Christmas is usually treat bags. I know lots of teachers give $1 books as Christmas gifts as well and those are perfect gifts. I personally save all my $1 books and gift the students with several books at the end of the year to last them over the summer. You can read more about my end of the year gifts here. Here are some items I like to include in my treat bags. All of these came from The Dollar Tree and the total cost for 30 students is about $30. 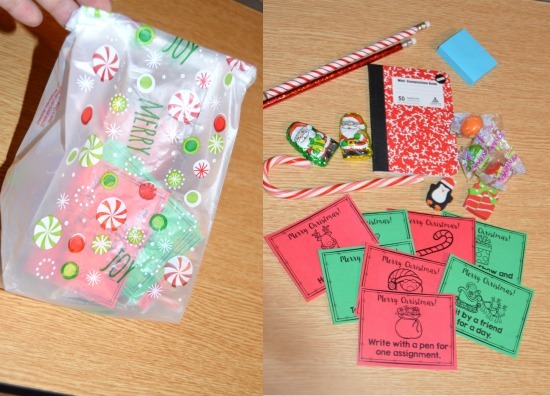 I like to throw in Christmas novelty items that are cheap and come several to a pack along with the students’ favorites items like post it notes, small notebooks, and crybaby gum. I also like to include gift passes that do not cost me a dime. The students always love the gift passes! 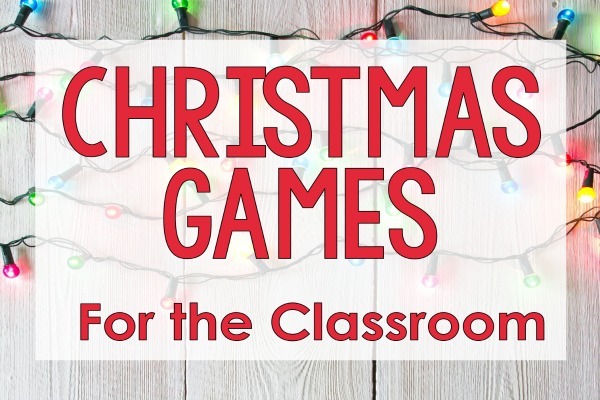 For the gift passes, I tried to include a variety of different options so you could pick and choose the ones that work best for you and your students. If you use the lunch with teacher, reading pillow pass, technology pass, or a similar pass, I recommend having a calendar and scheduling these the Friday before. This way you don’t have eleven students reading with pillows on the same day. Or if you have plans during lunch, you will know not to schedule students that day. I also suggest you have the students immediately write their names on the passes because they do sometimes lose them. Click here to download the student gift passes for free! If you don’t want to go the free pass or treat bag route, you can always pick up some of these cute headbands from your local dollar store (I bought these at the Dollar Tree). Each pack is only $1 and the brown reindeer set was actually two to a pack. I gave similar headbands to my fifth graders last year and they loved them. They wore them all day. I always like for my students to make their parents/families small gifts, too. I think it helps teach the value and joy in giving. As a parent nothing warms my heart more than having my sons come home with personal homemade gifts. For my students, I keep it very simple and affordable. One idea that we love is making family calendars. My students color and decorate the pages of the calendar, write special notes inside, or draw pictures of favorite memories. Click here to grab a FREE copy of a calendar to use as a parent or family Christmas gift from students. Click here or on the image below to read about how to implement a Mystery Science Activity with a fun Christmas theme. Click here or on the image below to read about my favorite Christmas games. These are perfect for Christmas parties! Do you have any favorite Christmas activities that you complete each year? Let me know your favorite in the comments!